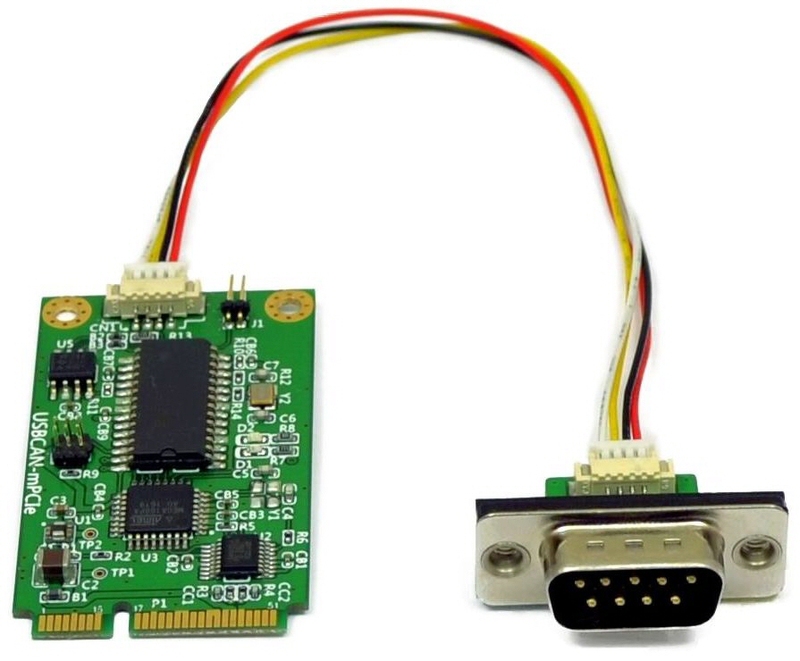 USB-CAN Plus mPCIe is a Mini PCI Express to CAN Bus 2.0A / 2.0B adapter which allows to easily expand any system having a full-length Mini PCIe slot with a CAN-Bus. The mPCIe card uses USB 2.0 signals as provided on the slot. Higher layer protocols, such as CANopen can be assembled using the available development tools for complex automation control applications. Low power consumption (0.4W max. ), extended temperature range (−20°C - +70°C), and a solid MTBF (23 Years at 45°C) make it an ideal expansion for industrial automation. The ASCII conversion protocol is useful in developing and testing any CAN-BUS configurations. Users just connect via virtual COM port having a simple way to talk to the CAN controller. It can also be used to manually transmit and receive CAN frames. Applications programmed by users should use the VScan API library (DLL), which transparently handles the communication and ASCII conversion for the CAN frames. Programmers have to handle only the CAN frames and status information, without taking care more about the ASCII conversion in their applications. VScan API is supported in C/C++, C#, VB.NET, Delphi and LabVIEW. Under Linux SocketCAN can be used as alternative to VScan API. 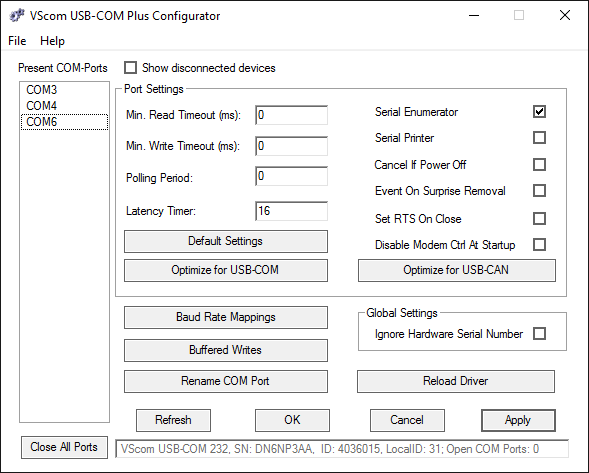 All VScom CAN devices support standard Serial Line CAN (slcan) driver. USB-CAN Plus series also support CANFestival, an Open Source CANopen Framework. CANopen is a CAN-based higher layer protocol that is used in various application fields to unburden the developer from dealing with CAN-specific details. CANopen provides standardised communication objects for real-time data, configuration data as well as network management data. For usage in hazardous industrial environments CAN-Bus interface is ±16kV (air) and ±8kV (contact) ESD surge protected. 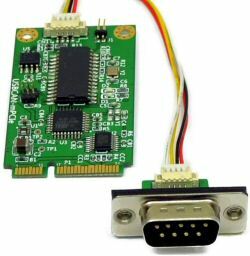 Mini PCI Express slots are present in various Industrial Computers, modern SBCs, Laptops and more. If there is space for the DSub-9 connector and cabling, this product is applicable as CAN-Bus expansion. Unified VSCAN API for simple access on all Vscom CAN products. Supports Windows, CE, Linux (x86, x86-64, ARM) targets. Supports C/C++, C#, VB.NET, Delphi and LabVIEW. Mapper DLLs can simulate software interfaces of CAN adapters from other manufacturers.